A special homicide unit re-opens with veteran police investigator Holger Munch at the helm. Holger’s first step is to persuade the brilliant but haunted investigator Mia Kruger, who has been living on an isolated island, overcome by memories of her past. When Mia views a photograph of the crime scene and spots the number “1” carved into the dead girl’s fingernail, she knows this is only the beginning. Could this killer have something to do with a missing child, abducted six years ago and never found, or with the reclusive religious community hidden in the nearby woods? Samuel Bjørk is the pen name of Norwegian novelist, playwright and singer/songwriter Frode Sander Øien. Øien wrote his first stageplay at the age of twenty-one and has since written two highly acclaimed novels, released six albums, written five plays, and translated Shakespeare, all in his native Norway. Øien currently lives and works in Oslo. 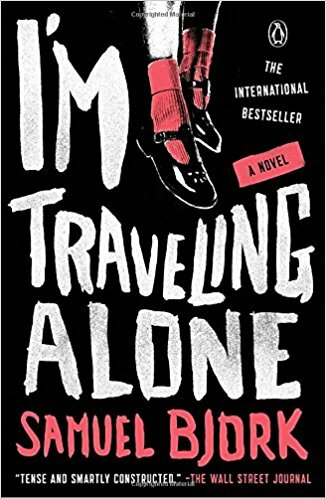 I’m Traveling Alone is his American debut.